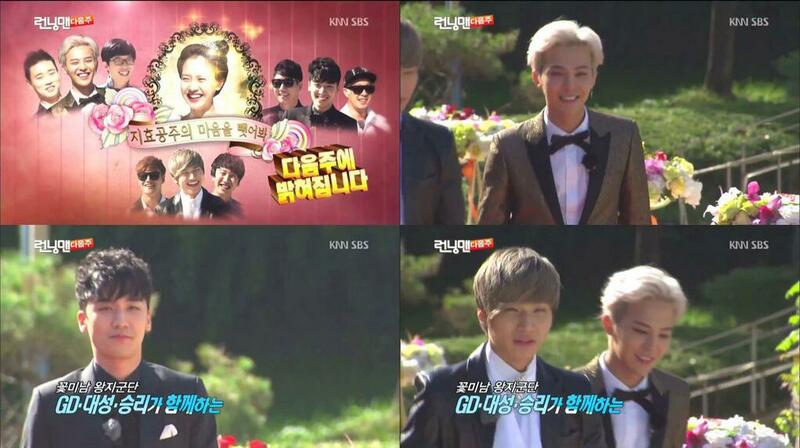 On episode 30 of SBS's "Running Man",Seungri was the sole guest during that episode. 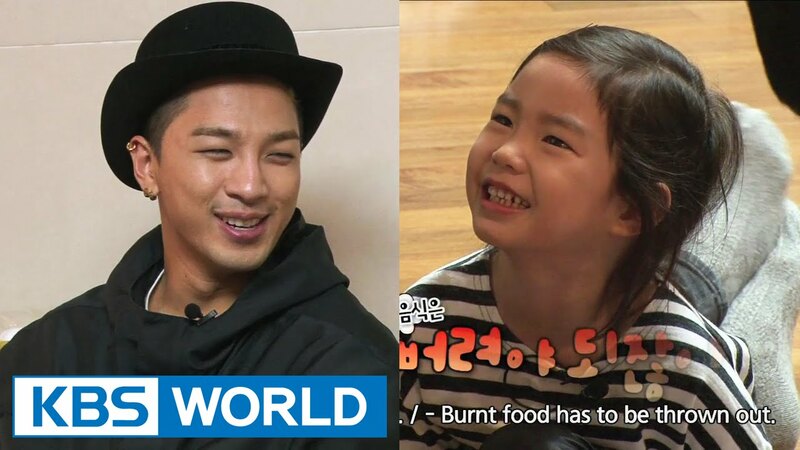 TaeYang appeared on KBS's "The Return Of Superman",as a guest,visiting Haru and Tablo's house. He also appeared on 2 of the earlier episodes on The Return Of Superman,16 & 28. 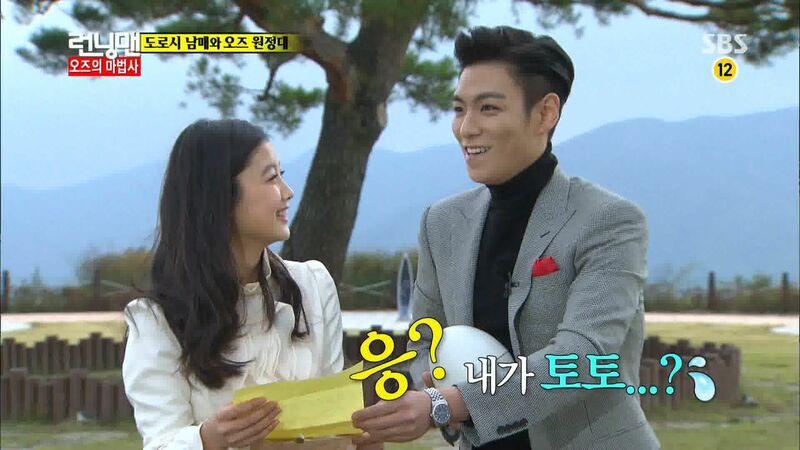 On episode 170 of the SBS's Running Man program,TOP and along with Kim Yoo Jung & Yoon Jae Moon were the guests for that episode. 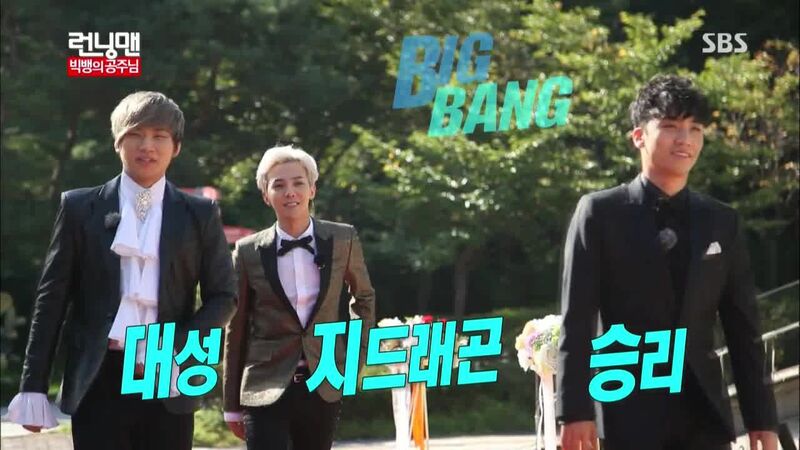 Big Bang as guests on the SBS's variety show,Running Man,for their comeback with their newly released album, "MADE",on episode 250. 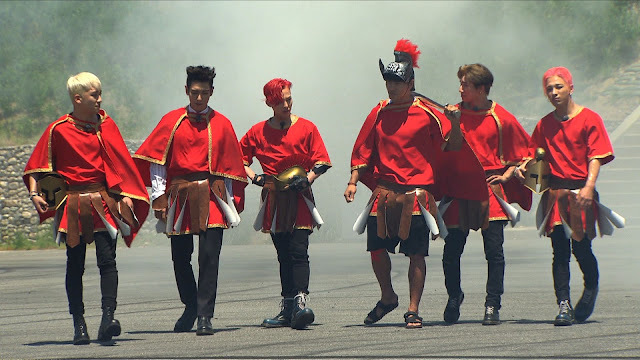 This episode has 2 different themes,team Running Man are Joseon-era merchants,while team Big Bang are Roman gladiators.Both teams will race to see who will be able to return to their respective timelines or stay in the present. At their first destination had a mat with various sized gears,all moving at a different speed.Both teams have to run across the moving gears on the ground when the PD calls out a time.And at the end of the moving gears is a plastic wrap where they have to smash their faces through it and say the same number of cuckoos as the time that the PD called out. At the second destination,a stream,where both teams have to play a 5 v 5 sponge basket ball(which gets heavy when submerged in water) with the first to get 15 goals to win. And to me,this second mission was the funniest part of the episode where many many comedies happened...! And at the final destination,at where they did their intro,a race track.Both teams will have to race each other and at every checkpoint, the cards they previously picked are related to the mini missions,either an advantage or disadvantage,depending on their luck. And after all the checkpoints,there will be a single car which will only allow one team to go back to their respective timelines and one team will be left behind in the present time. 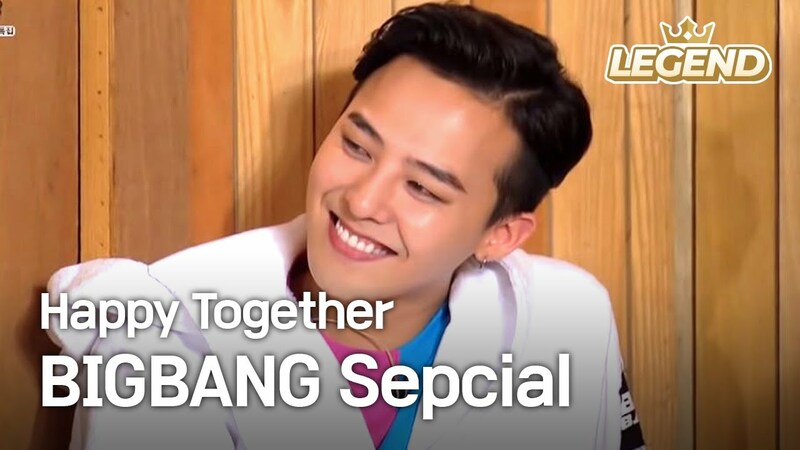 On episode 163 of the SBS variety show,Running Man,3 members of Big Bang,G-dragon,Daesung & Seungri,were the guests for that episode. 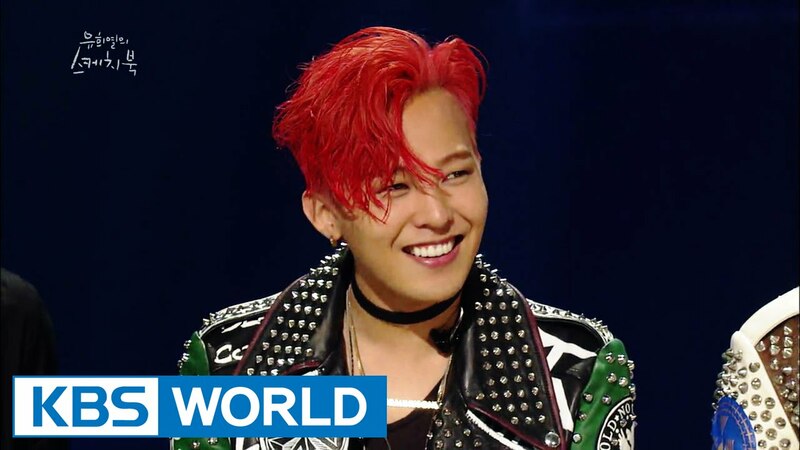 Big Bang,as a whole went on the KBS program, Yu Huiyeol's Sketchbook,on aired on 26 July 2015. 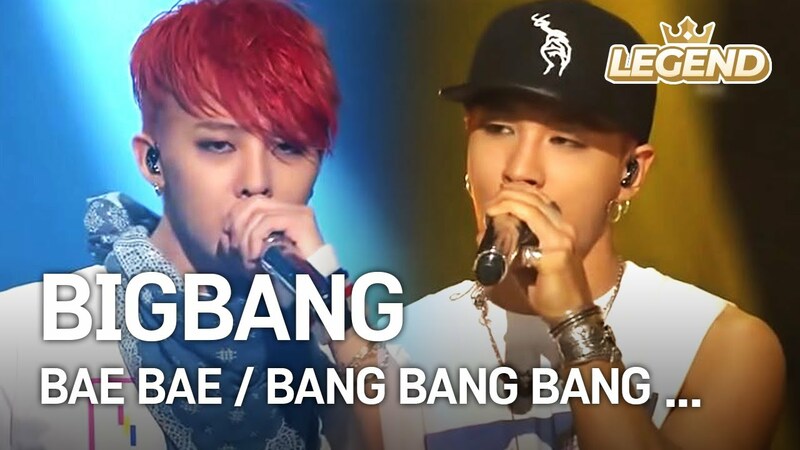 They sang BAE BAE, BANG BANG BANG,of their new MADE album,Fantastic Baby and Lies from their previous albums. 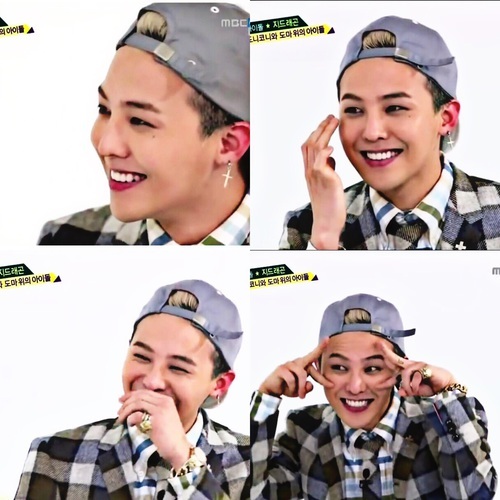 G-Dragon & TaeYang went on JTBC's "Please Take Care Of My Refrigerator",episode 42 & 43. Big Bang's first appearance on Running man during 2012 after releasing their new album 'ALIVE'.The Big Bang special was split into 2 episodes.. 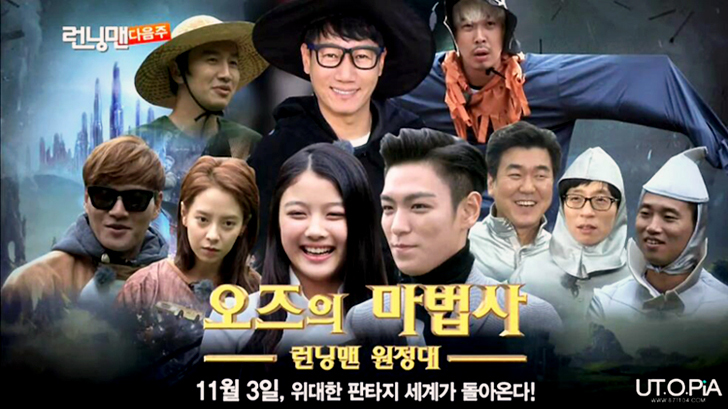 In both episodes,they played the 'Hide n Seek' game and Big Bang played defense in the first round,while Running Man attacked. Thus,Running Man won the first round. 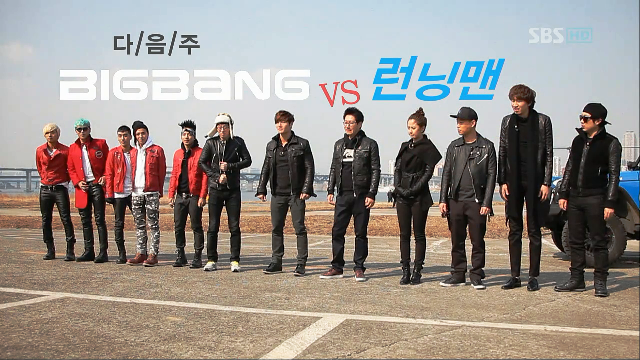 In episode 85(second round),Big Bang attacked while Running Man played defense. Instead,Big Bang won this round. A final round was played with GaeYang(Gary) & TaeYang in it due to tie in scores.Though Running Man was experienced,TaeYang won the final round,bringing victory to Big Bang! Big Bang was on Happy Together,a variety show on KBS World TV,for a Big Bang special after they have just released their first new mini Album,BAE BAE & LOSER. Some pictures from both episodes...Please skip if you do not want spoilers. 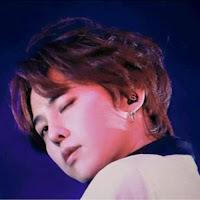 I also have another fan blog which have the same posts and I will link it here. Learn more about this fan blog here!